← SOS: Mozilla Plans Major Assault on Alt Media, Blocking Non-approved News Sites ←Extremely serious development! So do their families and friends, neighbors and business associates! Acquaintances on all sides should also be made aware of this before Monday! In ancient times it was well understood that you never — EVER — looked at an eclipse. The wise men of old were well aware that watching an eclipse — either solar or lunar — was not a smart thing to do. The bottom line is that an eclipse, from time immemorial, has been always been considered an inauspicious event. This is not a time to revel in the darkening of a major luminary whose life-giving rays are blocked. While this ought to be intuitively obvious, most are are cut off from their inner wisdom…at their peril. What the ancients did observe was that the animals throughout the whole animal kingdom scattered and went into their burrows and holes and caves and nests BEFORE THE ECLIPSE EVEN OCCURRED. How on Earth did these critters know it was even coming? During the actual eclipse, the domesticated animals were oftentimes seen to experience quite unusual behavior. But on the whole, even those animals went quiet and into the dark and protected areas. If the animals know something is awry, why don’t human beings? Because the Illuminati, who have locked this planet down for millennia, doesn’t want humanity to know the truth about eclipses. Instead, they use the mainstream media (MSM) to stampede everyone in creation out under the evolving eclipse to stare at what is essentially an inauspicious event … on the mundane level, that is. Remember, the dark side has ALWAYS made use of all of the occult arts and sciences. They consult their ‘best’ astrologers and numerologists, remote viewers and mediums, alchemists and oracles about everything of importance. They even conscript their witches and warlocks to go after the POTUS when they so desire. So we know that TPTB routinely denigrate things via their wholly owned MSM, that they themselves subscribe to. Not only do they put all their faith in the power of occultism, they ritually harness the resulting energies whenever it advances their nefarious agenda. Very few ever made the connection, but the government-coordinated hoax known as the Sandy Hook School Shooting was quite deliberately perpetrated on December 14, 2012, just 7 days before the highly anticipated date of 12/21/21012–a day that many around the world understood to be the end of the Mayan Long Count Calendar. Not only was Sandy Hook a HUGE false flag psyop used to divert the positive energies associated with the long-awaited December 21, 2012 date, it harnessed and channeled those energies in an extremely malevolent way. For a deeper understanding, please see the following exposé: Why Was The Obvious Sandy Hook Hoax Really Staged! You can be sure that if American society is being bombarded with messages to go out and watch the biggest eclipse in our lifetime, that something is very, VERY wrong. And so it is. More significantly, we never make the connections between the solar or lunar eclipse that just took place and the adverse effects on our lives, on our families, on our business, etc. This is very similar to the pervasive predicament throughout the USA whereby very few ever make the correlations between their prescription meds and their increasingly ill-health. This collective inability to make crucial connections, by the way, has set up the whole nation for a major wake-up call. The eclipse on Monday, August 21st just may function as the trigger for that wake-up call that no one saw coming except for a few modern-day prophets who have been screaming at the top of their lungs for years. They know that the body politic is about to be busted upside the head with a cosmic four by four. The rest of the world knows this, too. Given the gravity of this particular total solar eclipse, it’s really imperative that as many people as possible become aware of its potential consequences. This celestial event IS NOT TO BE TAKEN LIGHTLY. 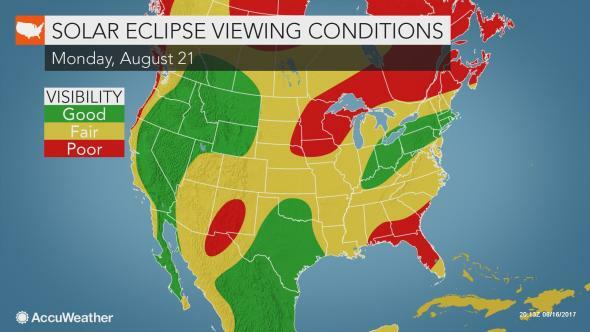 For the path of eclipse totality passes right over the landmass of the lower 48 states. If ever there was defining moment in U.S. history preordained to profoundly alter the direction of the nation, the August 21st eclipse is it! Therefore, it’s of utmost importance that all of our fellow Americans be alerted to the negativity that can be associated with this particular eclipse because the cabal is manipulating the energies. There are multifarious ways by which the Illuminati can, and will, take advantage of our ignorance and use it against us—BIG TIME! Just as Sandy Hook was staged one week before 12/21/2012, Charlottesville was likewise engineered to go down a week before Monday’s eclipse. This timing is by purposeful design, and the quicker folks wake up to this fact the better prepared everyone can be. For the uninitiated, Charlottesville was intentionally carried out by the power elite to inaugurate their preplanned “Summer from Hell” a pivotal piece of their Purple Revolution. The manufactured violence of this false flag operation was meant to perpetuate a whole series of protests and counter-protests which have already been scheduled over the rest of the summer period. As follows: America Brace Yourself! Another Soros Attack: This Weekend to Perpetuate Charlottesville Mayhem in Boston? The real important point here is that the ruling cabal fully intends on channeling the negative energies associated with the upcoming eclipse toward a race war leading to a civil war. They have several ways of intensifying the frequencies of chaos and violence so that each subsequent false flag operation causes more and more mayhem and discord. Let’s be clear: these criminally insane psychopaths are determined to plunge the nation into a full-scale civil war. Ignorance of the law is never a good excuse for breaking it. Particularly when it comes to natural law, divine decree and/or scriptural authority, when a person transgresses these he must bear the consequences. For example, if you stick your finger in the fire, the fire will burn your finger. The longer you keep your finger in the fire, the worse the burn will be. The fire is no respecter of one who does not know the physical laws of the universe. Similarly, because Western civilization does not teach the truth about eclipses only exposes the impacted societies to their varied aftereffects. This is why it’s imperative at this time to understand the truth about eclipses and respond appropriately. It’s also essential to understand that there is a well-known upside to eclipses acknowledged throughout all the mystical spiritual traditions. Those spiritual aspirants know from firsthand experience that each eclipse appears as a dark cloud, but with a silver lining. That there is a very beneficial aspect(s) to these mysterious events will ultimately be the saving grace for the American Republic. For those who are so inclined, the period of the eclipse presents an extremely powerful time to perform spiritual practices. Whatever those practices might be for any individual, the rewards are greatly amplified when performed during the duration of an eclipse. Some spiritual communities literally shut down as the members congregate to pray, chant, meditate, repeat their mantras, offer charity, perform selfless service and/or sing God’s name. Every religion has its own different set of practices to conduct, so this is the best guidance to follow for each person. Staying positive, and not in fear, is the optimal space to be in. There’s no reason to worry or be apprehensive about any outcomes, real or imagined. For in the final analysis, everything always happens for the best. Furthermore, there’s simply no way to stop destiny when karma comes knocking on your door. Most lifelong truth seekers around the world know everything that has been presented in this article. Perhaps it’s a good time to find out what else they might know about proper behavior during an eclipse. Here’s a good place to start: August 21, 2017 Solar Eclipse : Stay indoors! Who, today, is unaware of the utterly depraved condition of the United States of America? The Founding Fathers are undoubtedly spinning in their graves. Every sphere of life across the land is found wanting … and desperately so. Simply put, the country cannot continue this way. The USA, once a beacon of hope for the planet, has become the bane of existence for nations large and small. Hence, it ought to be self-evident that this eclipse comes at the perfect time. Clearly, it will serve as a catalyst for necessary change in every major arena—governmental, corporate and civil society. Without a profound and fundamental transformation of the political process alone, the country is destined to crash and burn—Atlantis-style. So, what this total solar eclipse will do is expose the shadow side of the society. Just as the sunlight is obscured and then shines again, the dark side of America will come to the fore. The collective light of awareness will then shine on all the deep, dark secrets carefully hidden in the American underbelly. There have been so many crimes committed in the name of the Republic and with the public purse that this ongoing situation must be rectified. The scales of justice must be rebalanced before they break. The upcoming process of national transformation will be a highly collaborative one that will require the participation of every U.S. citizen. It was a pervasive shirking of our civic duty which created this ever-worsening predicament in the first place. Hence, each and every citizen is called upon to confront their own shadow side and get right within themselves. Only in this way can the country get right on the macro level. Let’s face it, the day of reckoning is upon US. Let US pray that many will see this event as the divinely ordained opportunity that it truly is. Only in this way will the American Republic be reborn as a modern-day prophet once called for in the wake of 9/11. SOTN was the first website on the Internet to [PURPOSEFULLY] disseminate the meme: “Donald Trump, the wrecking ball”. It was clear to us that this was his life’s mission. Wrecking Deep State and demolishing the culture of political correctness had to be carried out by someone. Why not a serious developer who knows full well how to aim a wrecking ball before he builds. Every authentic change agent is thoroughly detested by the establishment. How can it be any other way. What the USA is witnessing right now is the relentless annihilation of the messenger. Trump is the primary means by which the shadow side of America is being revealed. Only in this way can the dark tendencies be cast off for the good of the Republic. Who doesn’t know by now that Deep State takes its orders from the Committee of 300 who in turn answers to the Black Nobility. Of course, the Black Nobility reports to its own boss(es), and on and on up the pyramid of worldly power. These exceedingly wealthy elites have utilized occultism and the dark arts to maintain their ascendancy over millennia. By systematically deriding the lost truths, they are able to convince so many people to do the wrong things in life. This is why the ever-devious NASA is being used like never before to rev up eclipse fever. Even the weather services are in on this deceit as they forever update the eclipse viewing conditions. It has never been so necessary for Americans to comprehend the esoteric truths about eclipses, as well as many other concealed facts about the U.S. Federal Government. The faster they get with the new program, the quicker the cabal will be exposed and Deep State can be terminated. The world community of nations can then re-establish a new international order distinguished by peace and brotherhood, instead of war and conflict. It’s no accident of fate that 2016 marked the real beginning of the Second American Revolution. 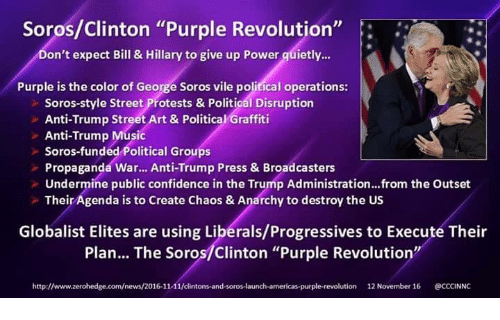 However, Soros & Company has hijacked the patriotic revolutionary fervor and channeled it into a fake Purple Revolution. This summer and fall is the last time they will have to pull off a full-blown coup d’état. They are well aware of this and are resolute to turn President Trump out of the White House. Therefore, if ever there was a time to align with the Highest Power, it’s now. Trump’s astrological forecast for the next couple of months is exceptionally challenging. He requires a tremendous amount of support and prayer to stay together. Trump, his family and the entire administration could use some major spiritual upliftment as the nation passes through this unparalleled crisis. Bottom line: Don’t watch the eclipse, please! This is one very meaningful way by which each individual can assist the cause of taking back our country, once and for all. 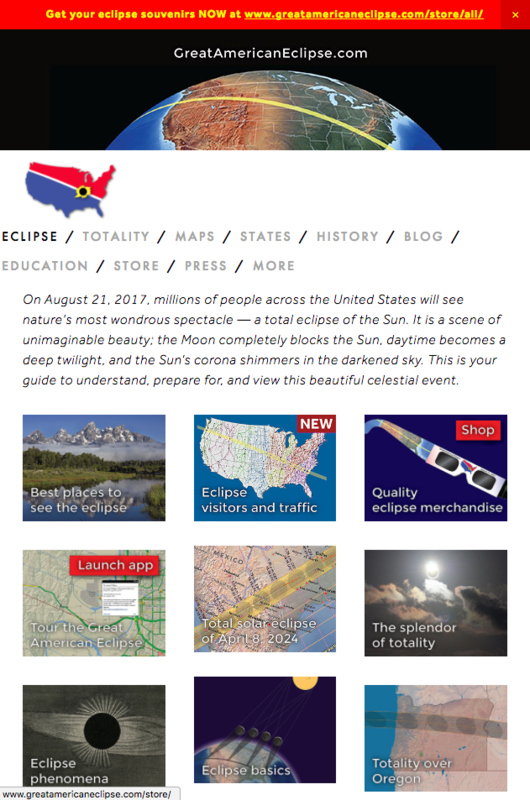 Is there a bigger RED FLAG anywhere in the realm than the unrelenting hype spewing from the mainstream media about “The Great American Eclipse”? Yes, it’s a very BIG deal, but the hype is intended to get everyone watching it. You know that the controlling popular beliefs and manipulated memes are always dead wrong in the end. When the ultra-liberal, extreme leftwing, and utterly godless MSM reports that something is good for US, we run in the opposite direction…faster than the roadrunner himself!